Companies that are very particular with the alerts want to make sure that the employees receive the messages so they employ desktop alerts as well as email and mobile phone alerts and notifications. With the SMS message application delivering the messages to the employee’s or customer’s mobile phones within a few seconds after the message has been sent, they will never miss out on important alerts. DeskAlerts developed software that connects to the SMS gateway service provider through API integration. The system allows you to integrate with Active Directory or your company’s CRM system to send messages to employees’ mobile phone numbers. There is no need to use a custom template. DeskAlerts uses HTTP API for sending SMS alerts to the SMS Gateway. It can also be integrated with the Twilio text-to-call API. Short Message Peer-to-Peer (SMPP) - for the transfer of short message data between External Short Messaging Entities (ESMEs), Routing Entities (REs) and Message Centres. What is DeskAlerts SMS notification system? And why it's a great way to keep employees informed when they are on the go? Through Text Alerts, organizations can easily assemble response teams that will fix problems and cut down costs that involve too much hardware, material waste, time, and effort. No matter where your workforce is located, you’ll often want to reach them with important corporate communications. With DeskAlerts you can send them alert messages that will be received on their phones as a traditional mobile text alert. What is the difference between DeskAlerts SMS notification and the mobile alert? SMS messages are traditional text messages that support a wider range of devices, but are limited to only short plain text notifications. Wherever your employees have a mobile phone signal they can receive one of these alerts. The mobile alert app is specifically installed on to smartphones and tablets and can be used to send more rich content such as videos and pictures to Android and iOS-based devices. 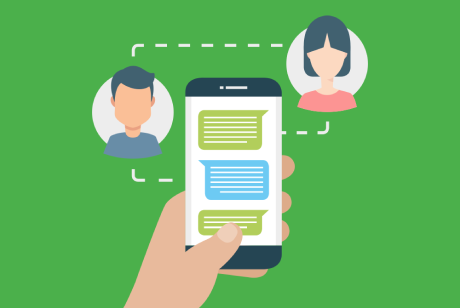 Whether your employees use iPhones, Android phones, Blackberry phones, or old analog phones, SMS notifications will work with them. Embeddable URLs will allow you to link to web content where employees can read further information. You can send text messages to your mobile phone provider through an assortment of supported SMS Gateway service providers. This feature works in all countries. Determine who has seen your messages and when they saw them – even what devices have displayed them. DeskAlerts SMS notifications will shorten all the URLs you add on your text message alert to efficiently fit the character limit.